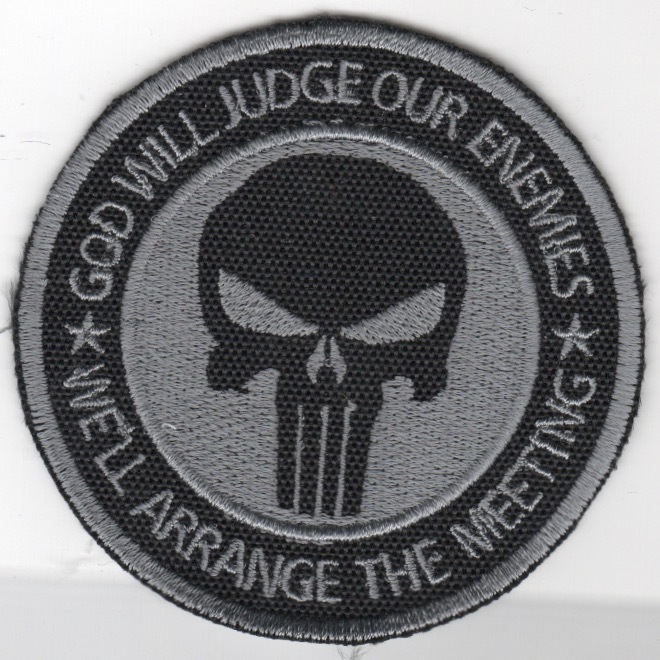 This is the "Chris Kyle" patch that says "GOD WILL JUDGE OUR ENEMIES" (top) and "WE'LL ARRANGE THE MEETING" (bottom). 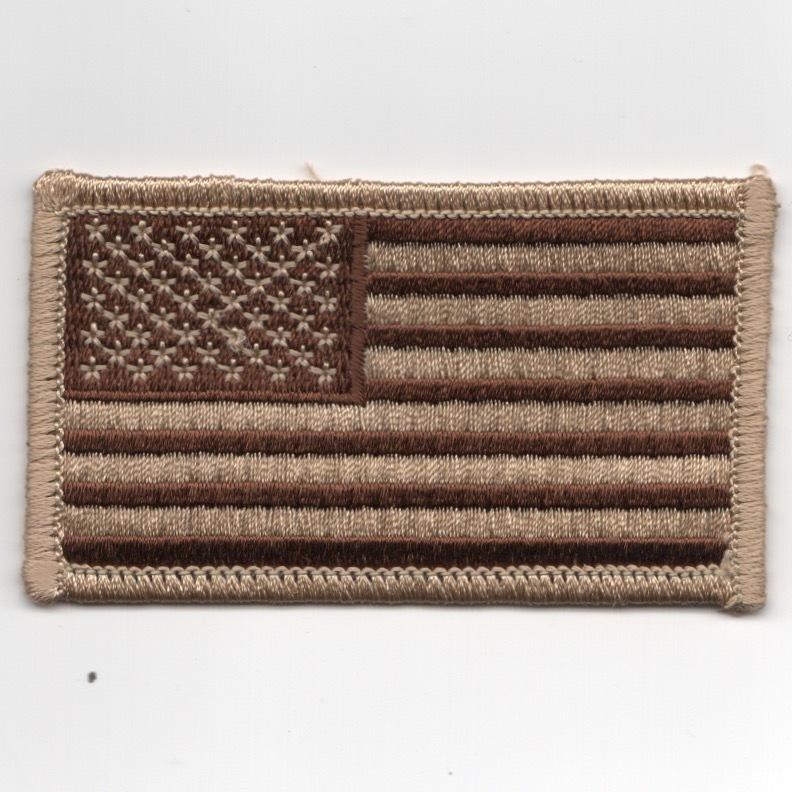 This patch was found in a Korean embroidery shop, has that "theater-made" feel to it with the 'cut-edge', and does not come with velcro. 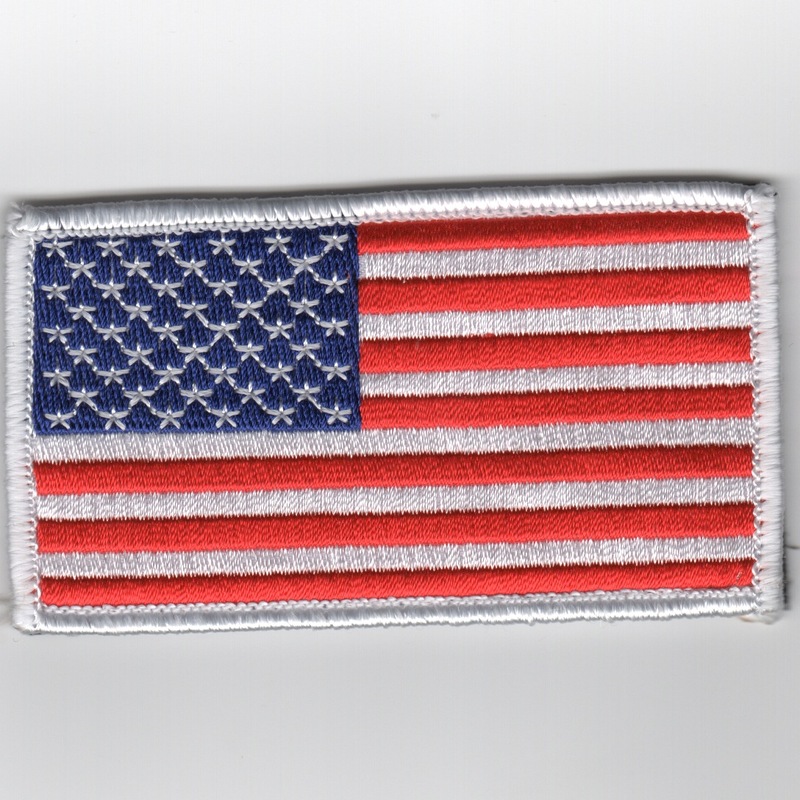 This patch was done by special request for a customer. I have extras. It's a pretty neat idea. It states "Honor Guard" at the bottom. This is the white-bordered version of the American Flag. It does NOT come with velcro. This is the white-bordered version of the American Flag. It comes with velcro. This is the really large version of the yellow-bordered American Flag. 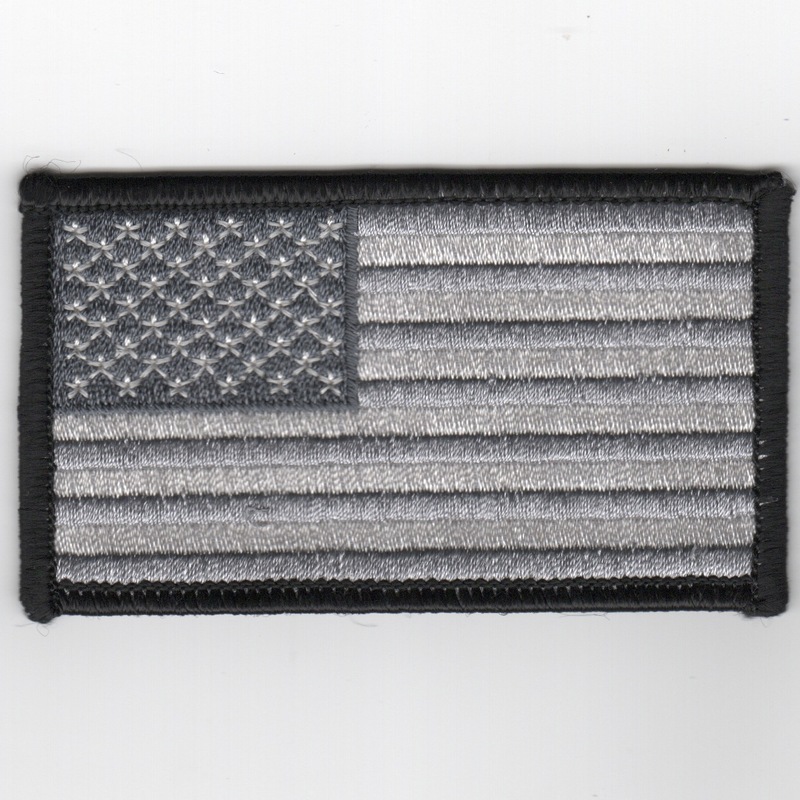 This is the black/white/gray version of the American Flag. It does NOT come with velcro, but I can send you some if you need. This is the "reversed-field" version of the yellow-bordered American Flag. This is the camoflauged subdued version of the American Flag. This is the maroon-camoflauged version of the American Flag. This is the desert subdued version of the American Flag. It does not come with velcro attached.